As a customer you can access the scheme in the "My account" section or, from the dropdown "My Account" section at the top, right hand corner of the screen. Everything you need to do to refer your friends, can be done from this page. 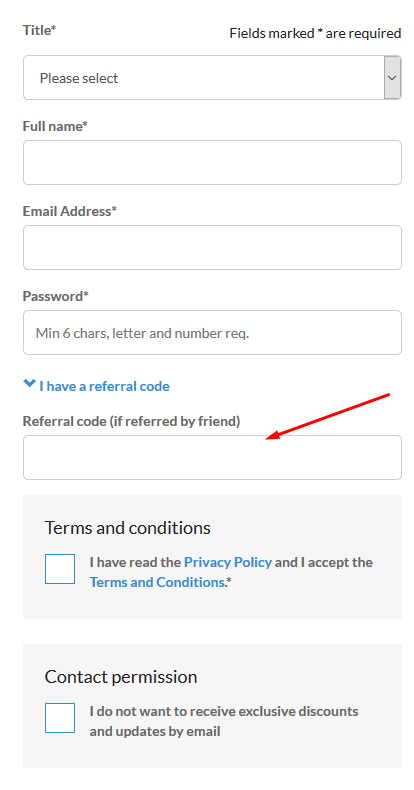 You can either request a referral code to pass onto your friend, or invite your friend to join us by entering their email address and clicking "Invite your friend". You can add multiple email addresses to invite lots of friend at once! Once your friend order has been shipped, you will receives £5 credit to your account. You will then also receive 5% of the value of your friend's orders back as credit on your account for the first 6 months that your friend is a customer. You will have 60 days to use this credit. 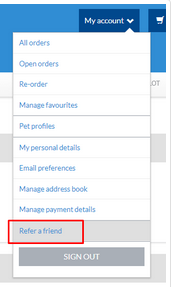 You can also see all your referred friends on the "Refer a friend" scheme page if you want to keep track.